Medicare, or Title XVIII of the Social Security Act, was passed by Congress and signed into law by President Lyndon B. Johnson in 1965 with Former President Harry S. Truman looking on to become the first recipient of the program known as Original Medicare. 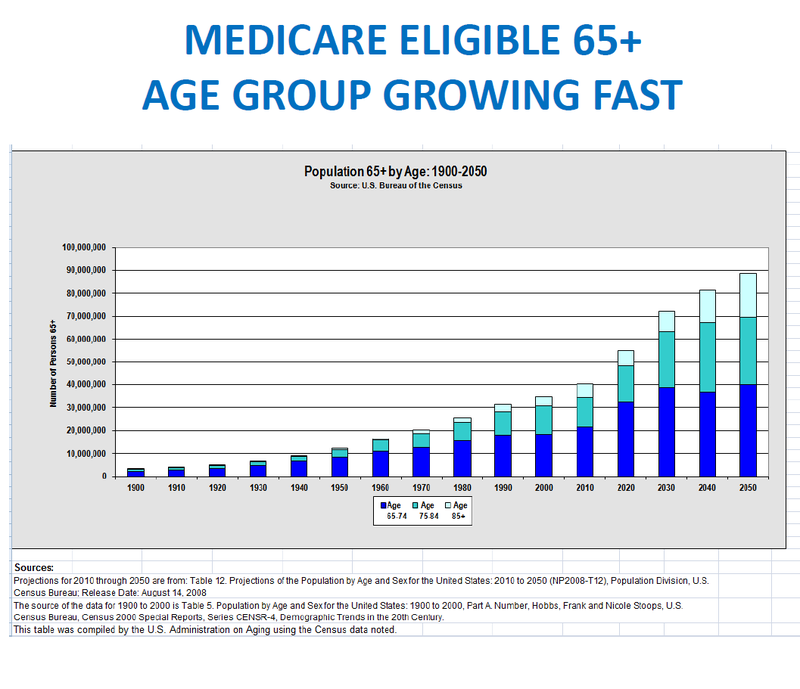 Original Medicare provides health insurance to people age 65 and older, regardless of income or medical history. Medicare Part A offers hospital coverage after a deductible is paid per occurrence, and Medicare Part B covers 80% of medical services by doctors and other providers on a fee for service basis after a small annual deductible. Medicare Supplement Plans, standardized and regulated by Medicare and offered by private insurance companies acting as a secondary payor (also called Medigap or Medsup Plans), can offset to a greater or lesser degree the unlimited 20% cost exposure to medical services as well as deductible hospital costs not covered by Medicare. 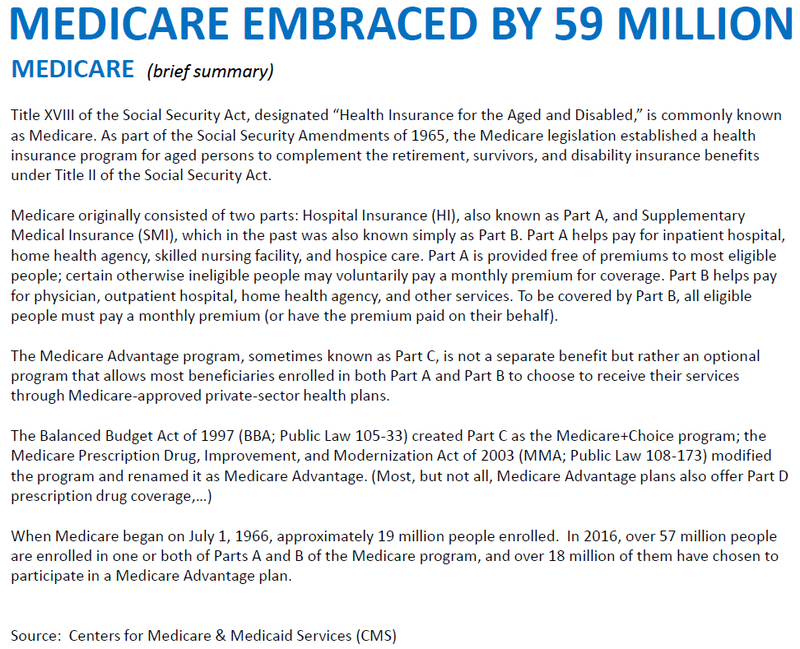 Alternatively, since the Clinton administration in 1997, Medicare Part C allowed private insurance companies to offer Part C plans (also called Medicare Advantage Plans) where the insurance company becomes the primary payor to healthcare service providers. Medicare Advantage Plans typically have networks of healthcare service providers who are reimbursed by Medicare on a capitation basis (annual fee per member) after some amount of beneficiary deductible, co-payment and co-insurance payments. By law, Medicare Advantage Plans must provide the same actuarial coverage as Original Medicare with a Maximum Out of Pocket exposure to the beneficiary (MOOP) that is no greater than $6700. Medicare Part D Prescription plans (PDP), offered by private insurance companies, cover almost all self administered prescription drugs since established by the administration of President George W. Bush. Professionally administered drugs have always been covered under Part B.